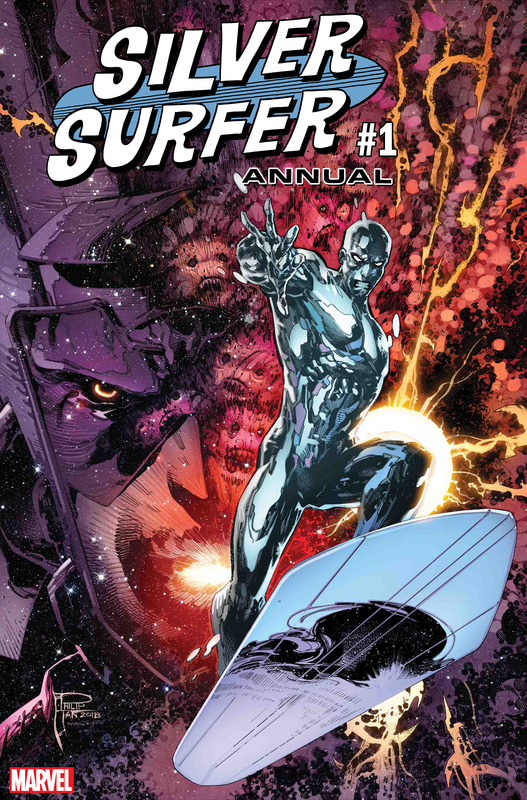 Dive into the Silver Surfer’s Past with Ethan Sacks in SILVER SURFER ANNUAL #1! The dark and tragic past of the SILVER SURFER…it’s all been a mystery until now. 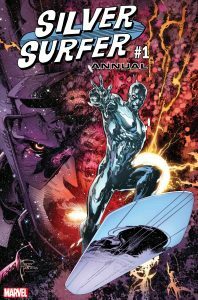 This September, the Surfer’s story is finally given the spotlight in SILVER SURFER ANNUAL #1, as Old Man Hawkeye writer Ethan Sacks and Thanos Annual artist André Lima Araújo bring you a tale told the Mighty Marvel Manner – with suspense, mystery, and adventure! Searching for a world that is worthy enough to satisfy Galactus, the Surfer comes across the perfect planet – but can he really doom an entire civilization in order to save his own? Join the cosmic journey this September, when SILVER SURFER ANNUAL #1 hits comic shops!